As in every year for more than half a century, the world's leading Oncologists are meeting in Chicago early in June to discuss the latest clinical advances in the field. Gustave Roussy will, of course, be among the main protagonists at this Congress. 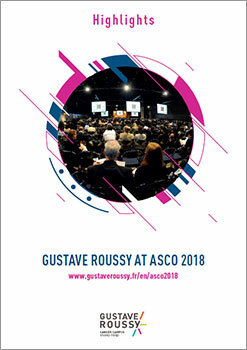 In addition to the opportunities Gustave Roussy specialists will have to communicate with their peers from around the world with the mutual benefit this represents, they will be participating in 15 oral presentations, 6 poster discussions and 49 posters, chosen by the Scientific Committee of the American Society of Clinical Oncology (ASCO). At this 54th gathering of the premier world oncology conference, Gustave Roussy will confirm its place as a leader in developing the therapeutic strategies which are transforming patient management and resulting in changes in practice.